Hunt the breath taking mountains of Idaho in search of the elusive Mt. lion. These hunts utilize snowmobiles in search of tracks and then you will follow and intimate pack of hounds at their finest. 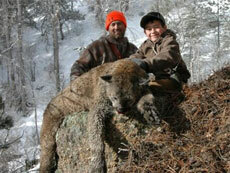 This is one of the most thrilling hunts you will ever experience. 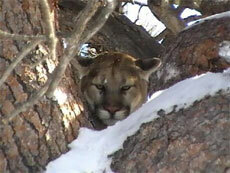 Harvest a cougar in two states that still offer an experience of a lifetime.